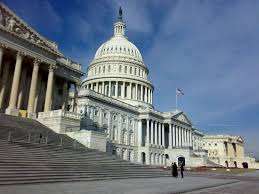 Political news outlets monitoring the construction of the United States’ end-of-session, lame duck governmental spending bill have finally reported that the much reviled “Restoration of America’s Wire Act” (RAWA) has been dropped from consideration for inclusion into the bill. The must-pass spending bill, termed the “cromnibus” for its competition of must-fund government measures padded with a handful of crony-favoring pork-barrel projects designed to favor select politicians and powerful interests, has to be addressed in some form this week to avert a partial government shutdown set to go into effect tomorrow. The RAWA bill, a falsely-titled blanket internet ban against virtually all forms of internet gambling, was crafted by lobbyists at the behest of Republican megadonor and Las Vegas Sands casino magnate Sheldon Adelson, who sought the bill’s passage to protect his land-based casino owner and to damage the interests of many of his casino rivals, who have looked to expand into the online space. If passed, RAWA would have done far more than just restore the 1961 Wire Act to its pre-2011 interpretation: It would have permanently barred all regulated online gambling within the United States and attempted to strip individual states of their individual powers regarding gambling matters, a truth about the legislation that drew widespread protests across the political spectrum despite both the special-interest nature of the measure and Adelson’s own nine-digit political largesse toward GOP candidates in recent years. RAWA’s apparent demise — there is a still a thin but unlikely chance it could be inserted into the bill at the last minute — came as the text of the omnibus spending measure was being assembled on Tuesday. Adelson managed to usurp a couple of the prominent Democratic Congressional leaders responsible for controlling passage of the cromnibus message, with Senate Majority Harry Reid (D-NV) reported as willing to back Adelson’s ploy in addition for state-level political favors. The potential backstabbing of his own state’s fledging online-gaming interests (Nevada is one of three US states where fully regulated online poker is available) should come as little surprise to experienced political watchers. Reid is often viewed as one of America’s most corrupt politicians, though he has dodged most charges and investigations to date, including one where he allegedly promised to back pro-online poker interests in exchange for a million-dollar, under-the-table payoff. That accusation was made by two prominent figures in the “Black Friday” series of arrests that led to the departure of several major sites from the US market. It was on behalf of one of those sites, Full Tilt Poker, that alleged fraudulent marketer Jeremy Johnson attested that he helped funnel a million-dollar paycheck to a third party connected with Reid. Though unproven — and though an investigation into it was blocked at the federal level — Johnson’s allegations regarding other prominent politicians proved to have enough legitimacy to result in the forced resignation of then-sitting Utah AG John Swallow. Swallow and his predecessor, Mark Shurtleff, now face state-level charges regarded to various forms of misconduct while in office. Instead, it was pressure from conservative Republicans who blocked RAWA’s insertion, bending to both state-level pressure and the affront to libertarian principles. Tetreault and others reported late yesterday that House Speaker John Boehner (R-OH) finally said no to the possibility of inserting RAWA, with Boehner even phoning Adelson personally to tell him that Adelson’s “big ask” was just unpalatable amid all the other issues under consideration. Though the cromnibus spending measure may have represented RAWA’s best opportunity at passage, it might be the last. While no more “must pass” bills exist to be worked on during the lame-duck sessions, it’s possible that Adelson and his lobbyists could try again in 2015, when the GOP controls both houses of Congress. It’s also possible, as Tetreault and others have reported, that the LVSands empire will focus instead on state-level battles such as California and Pennsylvania. Las Vegas Sands has a casino in Bethlehem, Pennsylvania, one of only three US-based properties for the company, which derives most of its income from its Macau casino properties.